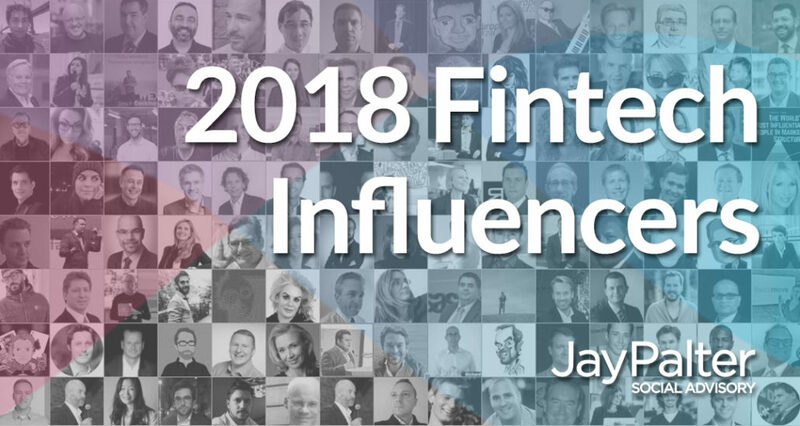 When we published our previous two Fintech Influencers to Follow lists in 2017 and 2016, they were popular among influencers and anyone interested in innovative thinking in financial services. With the publication of our 2018 list, some things feel different. Influencer outreach and engagement strategies are of interest to more individual leaders and businesses, and yet, the idea of the influencer list has come under some criticism, largely among the influencers themselves. Below the list, you will find FAQs about influencer lists in general and how this list was compiled. If influencer lists are useful, why do some people dislike them? The idea of the influencer list has come under attack over the past year and there are some reasons that might explain this. Influencer lists are no longer a novel concept. As more lists have appeared, there has been a decrease in their quality, many published primarily as click bait. There are also more people referencing (and perhaps, in some cases, even overplaying) their ranking on influencer lists as a bona fide credential, while others question the legitimacy of the predominantly quantitative social networking criteria used for most of these lists. All of this has led to some public criticisms of influencer lists, notably JP Nicols’ infographic and Ron Shevlin’s [Fintech Influencers Lists Have Jumped the Shark], to name but two, as well as many private Twitter DM conversations. To be fair, neither Nicols nor Shevlin fundamentally disagree with the concept of influencer ranking. Rather, they argue that influence is hard to measure and people tend to make too much of appearing and ranking on lists – with which I generally agree. However, I think it’s a mistake to dismiss influencer lists because of any of these arguments. I have written a previous defence of influencer lists and argued for why we should not throw the baby out with the bathwater. It goes without saying (yet, I’m saying it) that influence is a far more complex and nuanced concept than something that can be reduced to social media follower counts and engagement statistics. Many real-world influencers are not online, or not as active online as others. And to a degree, in some cases a significant one, online visibility is about “gaming the system” successfully. People who have cultivated good reputations with large online audiences have leveraged the online system to the benefit of their online visibility. They have attracted relatively larger numbers of followers or followers who themselves have large audiences, who read their content and share it with others. Their influence and reach are indeed focused online, and in some cases limited to the online sphere, but it’s still a form of influence. No. When influencer lists get published, every person on the list wants to see where they are ranked. While this is a natural, human response, it would be a mistake to conclude that ranking is the most important aspect of any list. A good influencer list is a starting point for discovery and engagement. It has the advantage of limiting the universe of possible people to whom you should be paying attention to the hundred or so that may be of greatest value. Event planners can find potential speakers for events. Business leaders in fintech startups can network with other industry leaders. Influencers themselves can increase their visibility, reach and influence by being recognized on a list. Influencer outreach and engagement is, in my opinion, the antidote to declining organic reach in social networks. Try sharing a post or publishing an article on LinkedIn or Facebook and see how many views you get this year – far less than a year or two ago. Of course, you can do more paid promotion and advertising as a way to attract attention online – that’s precisely what the social networks want you to do. But, as powerful as paid media can be at the right time and in the right place, it is far better at winning clicks and eyeballs than hearts and minds. If you want engagement and influence, you need to work through the gatekeepers to your target audiences – the influencers. As in previous years, this list was developed using a commercially available social media analytics tool (Little Bird, now part of Sprinklr) which offers a powerful engine for crunching large volumes of social media data. The software compiles a list of online influencers that frequently communicate on topics related to “fintech” and then looks at the inter-relationships among these accounts. 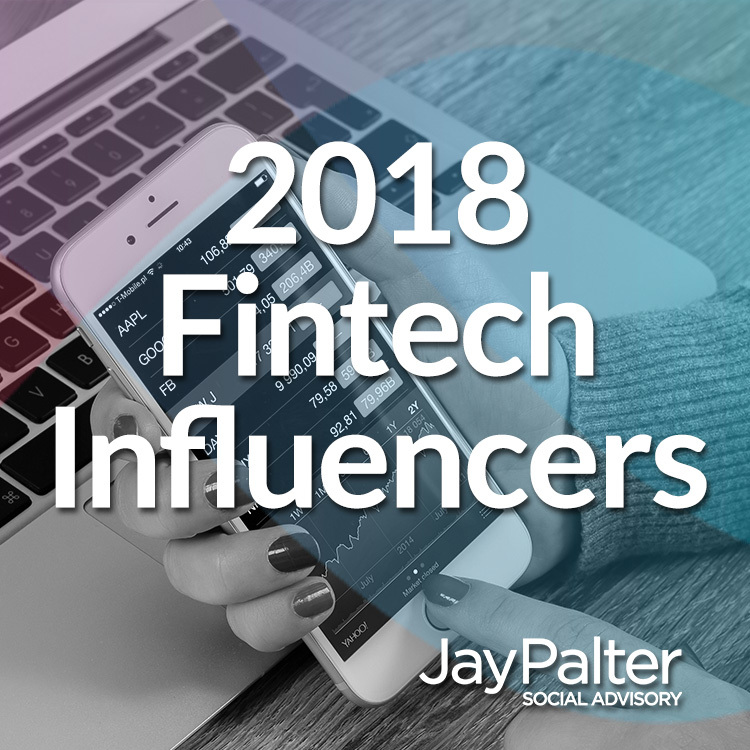 The software scores influencers in a variety of ways, however this list is based on the “insider rank” which compiles a large list of people actively engaged in online discussions of fintech and ranks accounts based on the most followed insider. Obviously, using a different scoring criterion would results in a different ranking. Pingback: Greetings! Check out a review about DeNet from our adviser Simon Сocking! It`s truly comprehensive!